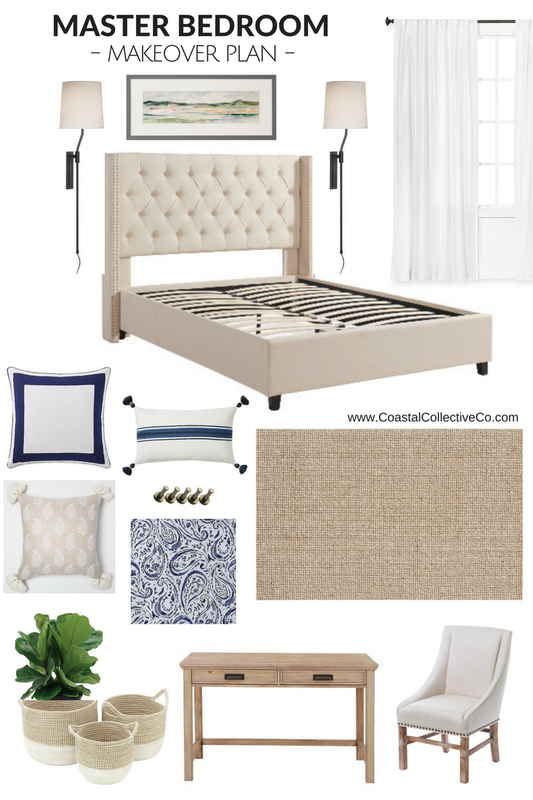 Beach House Master Bedroom Makeover Idea — Coastal Collective Co.
Hey friends! Today's edesign is a little personal as it's the first concept for our very own Master Bedroom at the Beach House. To say I'm excited is an understatement! Without going into it too much right now, fingers crossed we'll be building a couple houses this upcoming year, one to move in to and one to sell. Come follow along on instagram, because you can bet I'll be sharing ALL about the process in stories! We're still finalizing some reports and backend logistics, but so far everything is pointing in the right direction. I'm anxiously waiting to meet up with our architect! Now.....I have to be clear. We are NEVER getting rid of our Beach House.....never ever EVER. There's a lot more to the story behind why building is the right move for us, and hopefully I can share that in time, but the homes will be relatively close by, and I'll share more as details unfold. Right now we really want to get back to that feeling in our beach house of when we had it listed as a simple, uncluttered vacation rental home, and as a family of five, that can be challenging in a space with little built-in storage and under 2000 square feet. The decorating process has been slower than I'd like with this home, and we've played musical rooms more times than I can count, but that's ok. If anything, making a house a home IS a process. We're putting A LOT into these big build projects, so this makeover is on the relatively affordable side. Here's the plan for the beach house master bedroom! 1. Over time, I've learned what really makes me happy, and it comes down to neutrals with navy and deep greens. I want our bedroom to feel open and airy, yet grounded and calm. 2. There are a few items missing from this design board like some new Natural Shades and Blue Armchair (I just ordered this today and am so excited about the price! ), a mirror, dresser, art, etc. 3. We decided to try a desk next to the bed and use it as a nightstand as well. We are also working on making a guest room more user friendly, and our room has more space to add a desk, so we're giving it a go! I'll keep you posted as it comes together! Thanks for stopping by today!